Find the natural overlap between the work you already believe in and the digital tools that define todays learning. Each chapter introduces an enduring skill: information fluency, verbal persuasion, visual persuasion, collaborative dialogue, and problem solving. Then, the authors present a digital solution that can be used to enhance traditional skill-based instructional practices. A collection of handouts and supporting materials tailored to each skill and tool type ends each chapter. “I liked that this book does not advocate introducing technology for technology's sake. Instead, the focus is on teaching five important 21st century skills—information fluency, persuasion, communication, collaboration, and problem solving—first and foremost, and then introducing new technology to enhance those skills. “I also think the reproducible sheets . . . are extremely helpful in showing teachers how to structure digital projects. For teachers who are less savvy about technology, this helps to demystify the process. 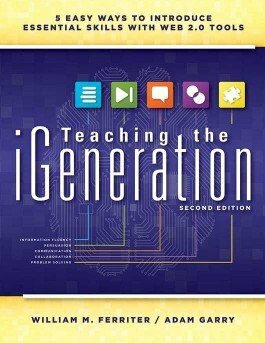 Meg Ormiston; teacher, author, and consultant; Tech Teachers, Inc.